Please join us for a screening highlighting Fashion Projects’ latest theme of fashion and memory. Curated by Tamsen Schwartzman and Francesca Granata, this event will feature a range of short experimental films, including films by the British-based fashion design duo Boudicca, Dutch artist Erwin Olaf, Shelley Fox, and fashion photographer Laura Sciacovelli. 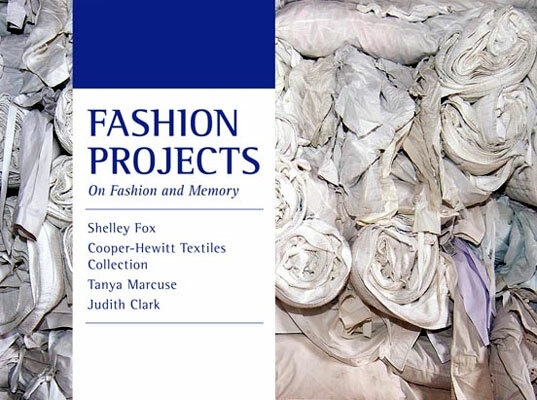 Please join us for a screening highlighting Fashion Projects� latest theme of fashion and memory. Curated by Tamsen Schwartzman and Francesca Granata, this event will feature a range of short experimental films, including films by the British-based fashion design duo Boudicca, Dutch artist Erwin Olaf, Shelley Fox, and fashion photographer Laura Sciacovelli.